Exhibition of theater costumes from Russian museum opens in U.S.
An exhibition "Costume at the Turn of the Century: 1990-2015" at the A.A. Bakhrushin State Central Theater Museum in Moscow. 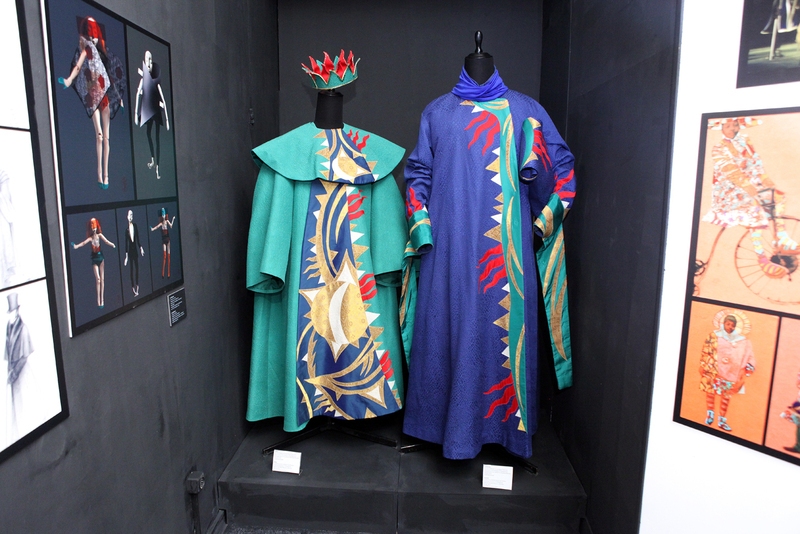 Moscow's Bakhrushin Museum is to show theatrical garments from 1990-2015 until the end of September at the University of North Carolina in Asheville, before moving on to China and Poland. After a successful display in Moscow, an exhibition titled "Costume at the Turn of the Century: 1990-2015" will be held in the U.S. from Aug. 15 to Sept. 28 in the University of North Carolina in Asheville. "Thanks to one of the curators of the project - Igor Rusanov - we have established warm professional relations with American institutions," said Dmitry Rodionov, the director of A.A. Bakhrushin State Central Theater Museum. Because of a current embargo on the exchange of exhibits between Russian and American museums due to the Schneerson Library controversy, the original exposits of Bakhrushin museum will be replaced with copies. More than 260 designers from 32 countries will take part in the project, displaying both traditional and avant-garde theater formats. The show includes more than 1,000 works - costumes from drama theater, opera, ballet, modern dance and performances, as well as photos, 3D installations and video projections. The organizers are not pushing any particular trends, but are just providing a space for different artists no matter where they live. So visitors will be able to see works of theater design from the last few decades from all over the world. After the U.S., the project will move to China and Poland in 2017. "Costume at the Turn of the Century: 1990-2015" is supported by the non-governmental organization OISTAT (the International Organization of Scenographers, Theater Architects, and Technicians), Kiev's Institute of Contemporary Art, the theater faculty of Carnegie Mellon University, the University of Oregon and University of North Carolina in Asheville.